In evaluating my options for a replacement material, I knew I didn't want wood because wood deteriorates, see above. So I started looking around at other options like Starboard. I could not find Starboard at my local Home Depot, nor was I inclined to actually place an order for any because I knew it's be expensive. So, while walking around the materials section at Home Depot, I came across some flat PCV material (22"x .25"x8'). 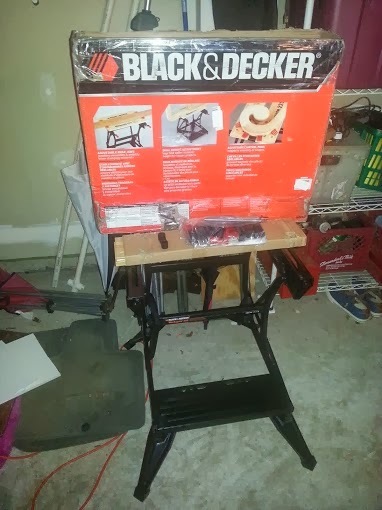 I was unaware of this material in this flat format literally until I saw it at Home Depot. Starboard was familier to me, but I never really pursued acquiring any. 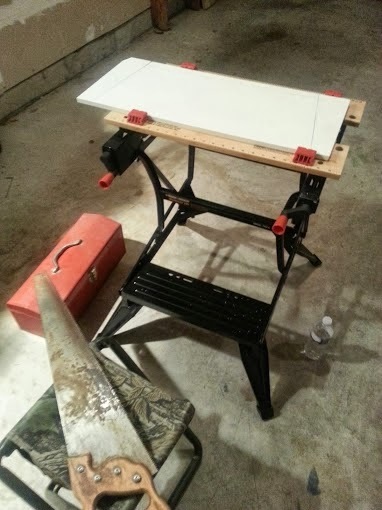 I cut the PVC board into 26" sections because that was the widest part of the existing hatch. 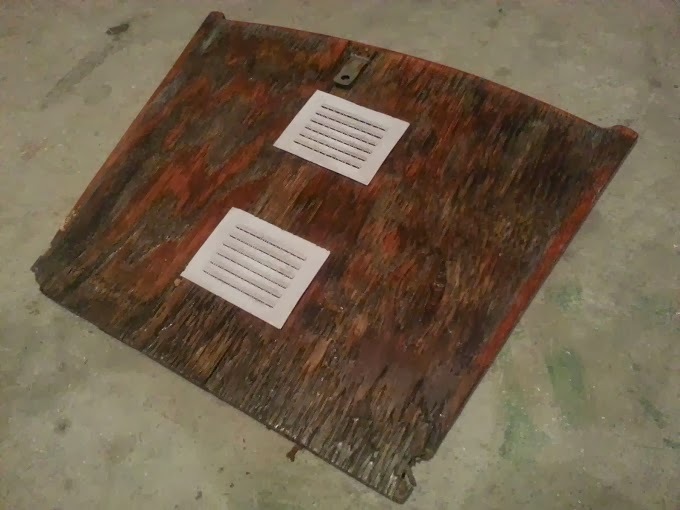 Then I put the the two cut sections flat on the garage floor flush with each other and overlaid the old hatch and mearly traced the outline, using my old hatch as a template....sorry no pix of this phase of the operation, so just use your imagination. 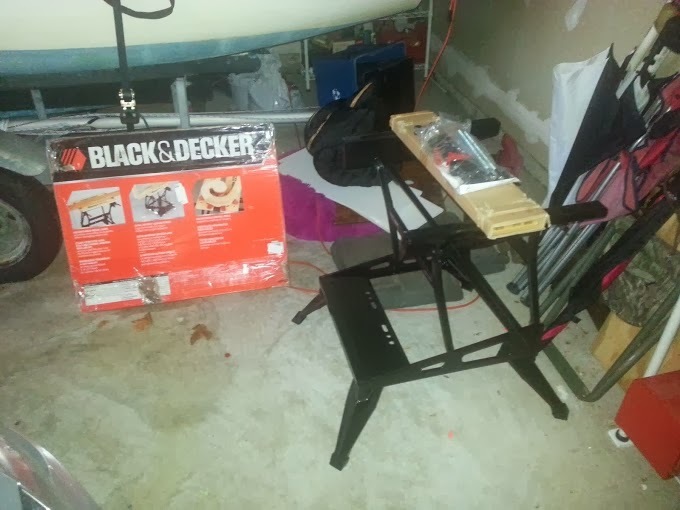 I also broke out my Black & Decker electric circular saw for the long straight cuts, but for the smaller and more intricate cuts, I relied on my hand saws. 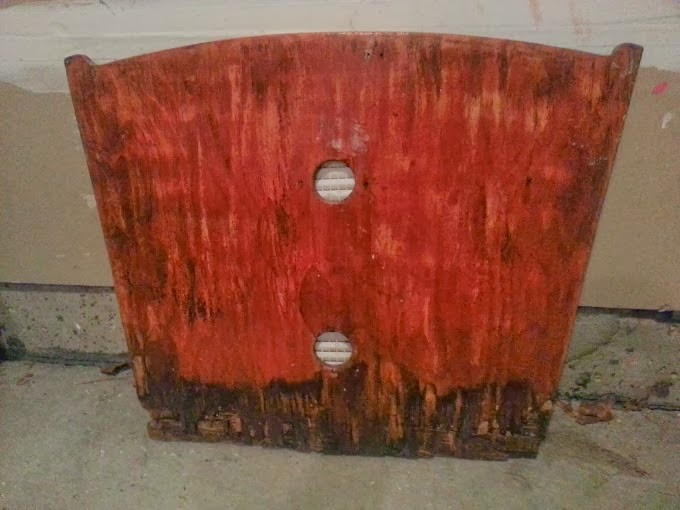 I still need to cut a flange where the two boards meet in the hatch so as to allow rainwater to not seep into the cabin. 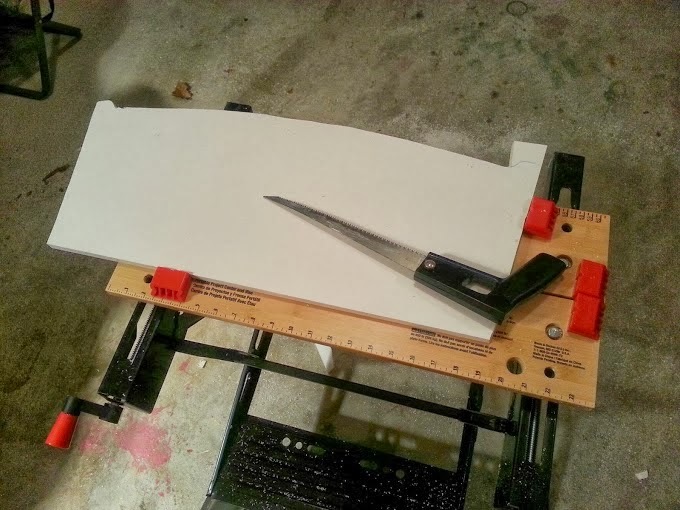 Gonna need a router or table saw for that cut. Cutting some vents and locking hinge are still in order, but I was absolutely amazed the cuts and fit would turn out as perfect as they did. I am pretty proud of my efforts since I had been stressing out about this project. 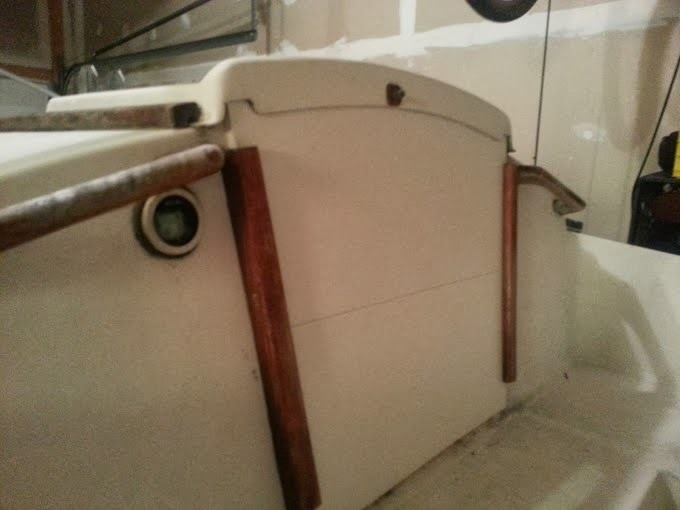 We'll see how this PVC board does, it is not as strudy as Starboard or wood, but since I am not leaving Puffin in a yard for weeks on end and only locking when ashore, the hatch I created should suffice. 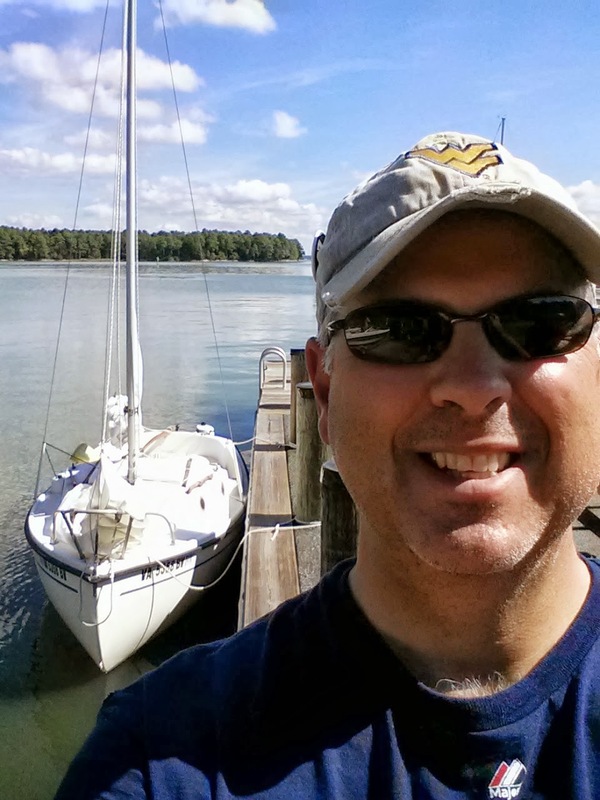 My name is Daren Magness and I have decided to start a blog dedicated to trailer sailing cruising....I like to call my style of cruising "Big Adventure in a Small Boat". For my small boat cruising, I am currently sailing a 1981 Com-Pac 16 that I launch off a Performance trailer. S/V Puffin draws a whopping 18" and can be launched from virtually any ramp and can get into some VERY skinny water. My boat is 16' LOA with a beam of 6'; when not under sail, I motor with a five horse power Briggs & Stratton outboard. I tow my boat with a 2000 Ford F-150 with a 5.4 V8....I know overkill; I have to actually check the rear view mirror to make sure she's still there. I was contemplating the addition of a power boat, and still am, but for now - I'll stick with overkill. 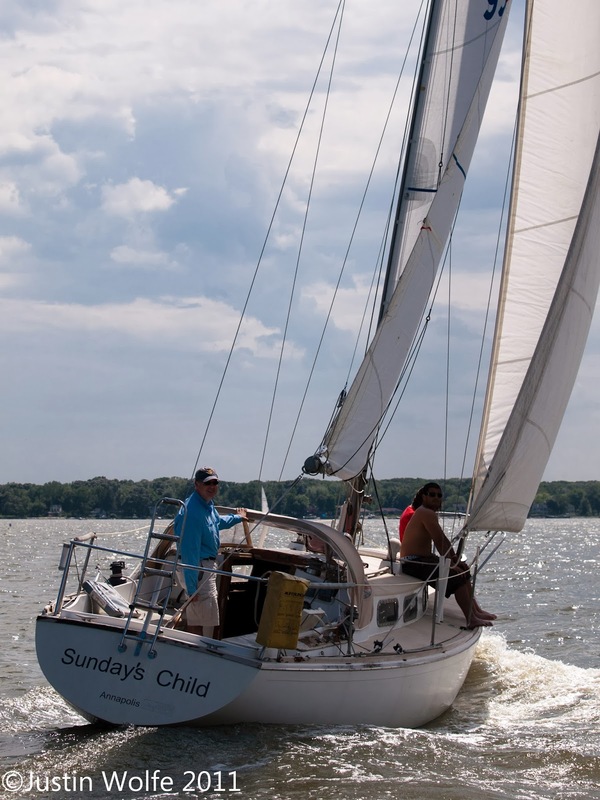 S/V Sunday's Child, a 1973 Tartan T-30 with an Atomic Four inboard gas engine. So why in the world would someone give up either of these two larger boats for a measly little 16' trailerable cruising sailboat? In a word, variety. 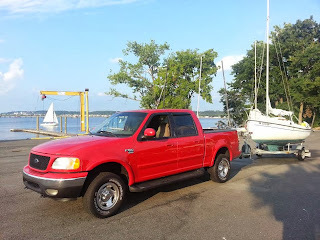 I was looking to sail other areas of the Chesapeake Bay and waters beyond that, but didn't want to pay to have my larger vessels towed, delivered, nor did I have the required leave to undertake week or more trips...I guess the other word was cost - keeping a boat at a marina in a slip is a big expense. 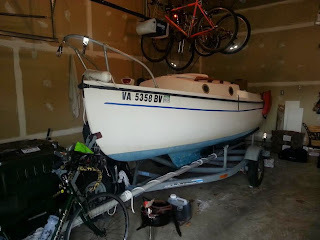 Now I keep my complete little pocket cruiser in my garage and she's ready to go anytime I feel like hitching her up to the Ford and travelling to windward at 55 mph. Thanks for checking in and I hope to post my adventures, projects, and plans here in the near future.